Lovely (and skilled) Geekologie Reader AverageGeekGirl went and made a little set of Strongbad Christmas ornaments for the holidays. For those of you whose parents just signed up for high-speed internet today, that's Trogdor (The Burninator), Strongbad and The Cheat. Now I don't think they're cookies, but I would definitely still nibble Trogdor anyways. Just look at that arm -- so strong. Thanks to AverageGeekGirl, who better keep an eye on Trogdor lest he burn down the tree. And no tree = no Christmas. Santa's rules. 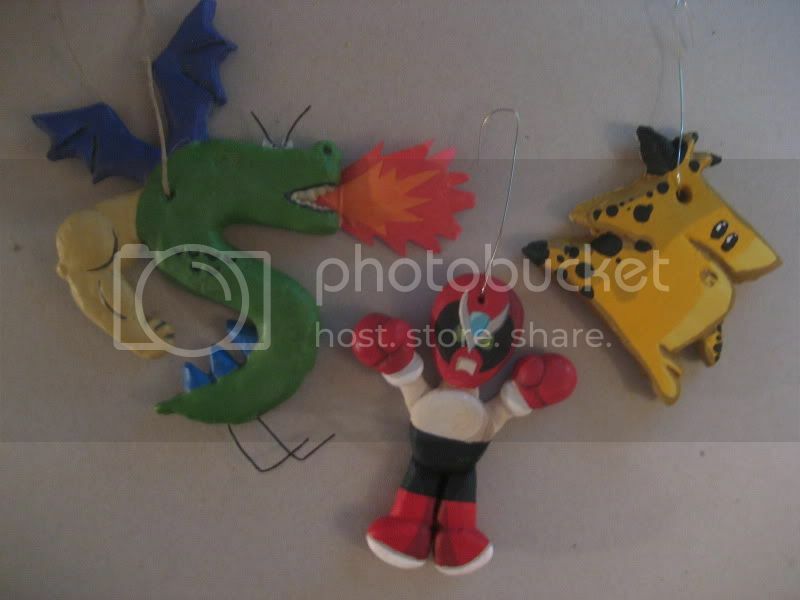 Read More: arts and crafts, characters, christmas, diy, good job, good looking, good times, holidays, homemade, i like, i want, impressive, ornaments, strongbad, sweet, tree candy, yes i'm still going to bite them!